Should You Consider Implementing Project-Based Accounting? Home > Blog > Strategy & Planning > Profitability & Cost Strategy > Should You Consider Implementing Project-Based Accounting? Standard financial accounting systems don’t always meet the accounting needs of all small and mid-sized firms. This is especially true for project-based businesses that provide professional services and companies in the construction and manufacturing industries who have long project lead times, as well as companies that work with government entities on a project basis. For businesses like these, a project-based accounting (or PBA) system is often a better choice. Unlike standard accounting systems, a PBA system tracks revenue and expenses at a project level. PBA — which is also sometimes referred to as job cost accounting — is extremely helpful to managers charged with project management responsibilities (including costs and productivity) throughout the lifecycle of a project. PBA helps project managers accurately evaluate actual vs. budgeted costs and revenue associated with projects. It is sometimes considered a subset of a standard financial accounting system and can be implemented within an existing accounting system. § Cost overruns on projects that jeopardize the project’s profitability. § Miscommunication between departments that are working on projects. § Inaccurate or incomplete project results due to the failure to identify and/or document specific project activities. § Uneven workflow issues that decrease employee productivity. It’s critical that project teams and managers be able to understand expenditures and performance against their budgets and working capital positions. Metrics with percentage of completion billings and the aging of receivables should be monitored closely since most of the assets are committed to the project’s execution. Visibility to the actual costs relative to their revenue is an important aspect that a project manager should pay especially close attention to. § Accurate and timely operational and financial data to enable appropriate decision-making at the project level. PBA provides project teams and managers with all of this data and more. As a result, they are able to maintain better control over the direction of projects and utilize their limited resources more efficiently and effectively. This helps ensure that projects are completed on time and within budget. PBA is fully capable of being used for budgeting, financial planning, audit and internal control when monitoring the performance of a project. § Access to more accurate and timely information when making “go/no-go” decisions. § An improved budgeting process and actual-to-budget analysis. § More accurate accounting of detailed job costs. § Better control over projects — for example, by enabling corrective action to be taken quickly on cost overruns. § A more credible audit process. § A better gauge of teams’ workload capacities. § An improved enterprise resource planning (ERP) system. § More accurate tracking of profit margins and better utilization of finite resources. Standard financial accounting systems don’t always satisfy the accounting needs of project-based businesses. In these instances, a project-based accounting (or PBA) system that tracks revenue and expenses at a project level is often a better choice. PBA helps project managers accurately evaluate actual vs. budgeted costs and revenue associated with projects and provides access to crucial project data. 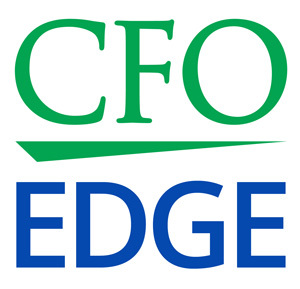 An outsourced CFO services provider can help you implement a project-based accounting system at your company.